Hi everyone, i am wondering if anyone knows if its possible to buy rust repair sections for this area of 57/58 Plymouth (see pic). 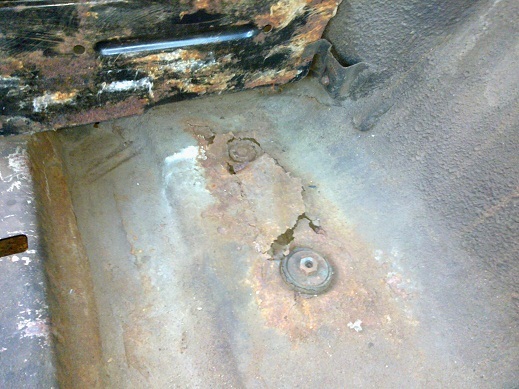 I know theres front, centre (under seat) and rear available but i have not seen this area rust repair panels for sale. Joe. I have not seen those sections for sale but it is a small area and pretty simple. I would just make them out of some 18 ga. sheet metal. Big M , I used upside down inner fender washers and welded them as it has the same taper . call Jeff Nichol's or Big M they will have everything. I'm sure I could cut that section from a parts car, if you'd like me to check, Joe.